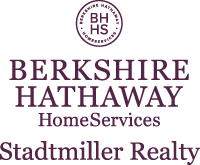 I have been licensed through the State of Ohio as Realtor since May of 2000. My designations and certifications include CRS, Resort & Second Home Property Specialist (RSPS), e-PRO and CNE. My primary areas of service are Kelleys Island, Sandusky, Perkins, Huron, Catawba Island and Marblehead. I'm a Member of the Firelands Association of Realtors, Ohio Association of Realtors, National Association of Realtors, Firelands MLS and NORMLS. I am a life long resident of Sandusky and Kelleys Island and am active in both communities. I proudly own homes in Sandusky, Huron and Kelleys Island. I've been an active swim coach at Perkins Local School District since 1997. My professional experience beyond real estate includes business operations, personnel and human resources, customer service and contracting. While I've lived, worked and played on Kelleys Island for the past 40+ years, I've made many friends, associates and contacts. Allow me to be your link to great opportunities on Kelleys Island!